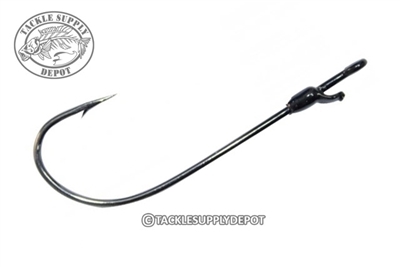 The Mustad Grip Pin Edge Finesse Hook is ideal for worms and smaller plastics. Featuring a molded on Grip Pin bait keeper that holds baits securely and reduces them from sliding down making for the perfect presentation every time. Excellent for light Texas rigs and dropshotting around snaggy cover.